Tracy Kendall is a Margate based wallpaper designer and producer who’s unique and innovative wall coverings have a strong design base coupled with a British sense of inventiveness and eccentricity. The wallpapers sell around the world and have featured in numerous design magazines and won countless design awards. 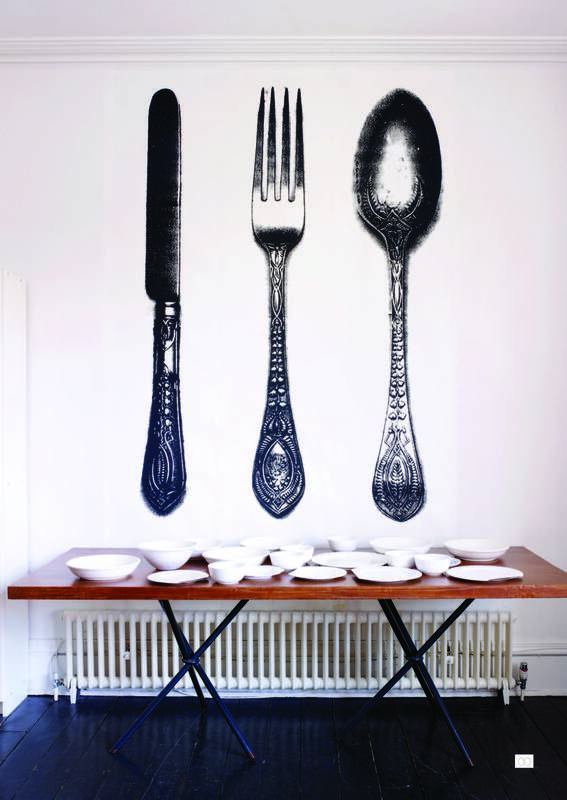 Each item of cutlery is 212 cm in length and the wallpaper is 350cm x 56cm, all signed and dated. To collect or winner pays for postage and packaging. Congratulations, Sam! You’re the lucky winner of this item for £120. We’ll be in touch by email!